The following references are in alphabetical order by author name. To find references about a particular topic, use the “Find” command in your web browser. For most browsers this command is located under the “Edit” menu. 1972 Washoe City Soil and Site Description. Nevada Archaeologist 1(1):16-18. 1998 Historical Archaoelogy in Battle Creek, Michigan: The 1996 Field Season at the Warren B. Shepard Site (20CA104) . Department of Anthropology, Western Michigan University, Kalamazoo. Archaeological Report 20. 2000 Interpretation of Native North American Life: Material Contributions to Ethnohistory. University of Florida Press, Gainesville, and the Society for Historical Archaeology. 1958 Indian trails and villages of Dodge County, 1834 to 1837. The Wisconsin Archeologist 39(2):127-129. 2001 Practicing Archaeology: A Training Manual for Cultural Resources Archaeology. Altamira Press, Walnut Creek, CA. 1998 Lands and Lordship in Tameside: Tameside in Transition, 1348-1642. Tameside Metropolitan Borough Council, Ashton-under-Lyne, Tameside, OL6 6DL, UK. 1969 The Archaeology of Two Hudson’s Bay Company Posts: Buckingham House (1792-1800) and Edmonton House (1810-1813). Master’s Thesis, University of Alberta, Edmonton. 1970 Toward a Trait List for the North Saskatchewan River in the Late Eighteenth and Early Nineteenth Centuries. Western Canada Journal of Anthropology 1(2):35-53. 1977 Excavations at Fort Ouiatenon, 1977 Field Season. MSU Museum. East Lansing. 1978 Submitted to Tippecanoe County Historical Association, Lafayette, Indiana. 1979a Discovering Fort Ouiatenon, Its History and Archaeology. Tippecanoe Tales No. 6. Tippecanoe County Historical Association, Lafayette, Indiana. 1979b Excavations at Fort Ouiatenon, 1978 Field Season. MSU Museum. East Lansing. Submitted to Tippecanoe County Historical Association, Lafayette, Indiana. 1980 Excavations at Fort Ouiatenon, 1979 Field Season. MSU Museum. East Lansing. Submitted to Tippecanoe County Historical Association, Lafayette, Indiana. 1982a Excavating Fort Ouiatenon, a French Fur Trading Post. Archaeology 35(2):71-73. 1982b Excavations at Fort Ouiatenon, 1979 Field Season: Supplementary Report. MSU Museum, East Lansing. 1982c (compiler and contributor), The Archeo-logi-cal Investigation of Fort Ouiatenon (1717-1791): Papers from the Symposium. MSU Museum, East Lansing. 1983a In Dire Straits: Subsistence at Mackinac. The Michigan Archaeologist 29(3):29-48. 1983b Fort Ouiatenon and the French Heritage in America. Michigan’s Habitant Heritage 4(4):69-72. 1983c Functional Classification and Intra-Site Analysis in Historical Archaeology: A Case Study from Fort Ouiatenon. University Microfilms International, Ann Arbor. 1984a Review of Brain: “Tunica Treasure”. Historical Archaeology 18(1):131-132. 1984b Review of Williams and Shapiro: “A Search for the Eighteenth Century Village at Michilimackinac”. The Michigan Archaeologist 29(4):103-104. 1984c Review of Hauser: “Jesuit Rings from Fort Michilimackinac and Other European Contact Sites”. The Michigan Archaeologist 29(4):103-104. 1987a Review of Karklins: “Nottingham House: The Hudson’s Bay Company in Athabasca, 1802-1806”. Historical Archaeology 21(1):115-116. 1987b Review of Allen: “Peter Fidler and Notting-ham House, Lake Athabasca, 1802-1806”. Historical Archaeology 21(1):115-116. 1988 Review of Miville-Deschênes: “The Soldier Off Duty”. Historical Archaeology 22(2):92-93. 1989a Review of Hamilton and Emery: “Eighteenth-Century Gunflints from Fort Michilimackinac and Other Colnial Sites”. Michigan Historical Review 15(1):105-106. 1989b An Archeological Survey of Development Projects within Grand Portage National Monument, Cook County, Minnesota. MWAC Reports, NPS. 1990a Review of Mason: “Rock Island”. Historical Archaeology 24(1):112-113. 1990b A Report on Archeological Investigations within the Grand Portage Depot (21CK6), Grand Portage National Monument: The Kitchen Drainage Project. MWAC Reports, NPS. 1991a Recent Archaeological Investigations at Grand Portage. Le Journal 7(2):8-10. Center for French Colonial Studies, Prairie du Rocher, Illinois. 1991b Ouiatenon on the Ouabache: Archaeological Investigations at a Fur Trading Post on the Wabash River. In: French Colonial Archaeology: The Illinois Country and the Western Great Lakes (edited by J. A. Walthall), pp. 65-77. Univ. of Illinois Press, Urbana. 1991. 1994 Trip Report – November 8-9, 1994. Memorandum [A2624 (MWAC)] to Assistant Regional Director, Archeology/Anthropology, Midwest Region, dated November 14, 1994. On file, Midwest Archeological Center, Lincoln, Nebraska. 1995 Trip Report, Grand Portage, May 15-19, 1995. Memorandum [A2624 (MWAC)] to Acting Manager, Midwest Archeological Center, dated May 23, 1995. On file, Midwest Archeological Center, Lincoln, Nebraska. 1995 Review of Brown, Eccles, and Heldman (editors): “The Fur Trade Revisited: Selected Papers of the Sixth North American Fur Trade Conference, Mackinac Island, Michigan, 1991”. American Antiquity 60:780-781. 1995. 1997 Eighteenth-Century Ceramics from Fort de Chartres III. Illinois Archaeology 9(1-2):36-78. 1987 Identification of Ceramics from the Chalmette Unit, Jean Lafitte National Historic Park. R. C. Goodwin and Associates, New Orleans. Sub-mitted to NPS, Southeast Region. 1973 The Excavation and Historical Identification of Rocky Mountain House. Canada Historic Sites: Occasional Papers in Archaeology and History 6:56-163. Ottawa. 1990 An Inventory of Goods and Resources Marketed by Native Groups, Fort Nisqually, 1833-1849. Northwest Anthropological Research Notes 24(1):1-20. 1969 The Excavation of Fort Renville: An Archaeological Report. Minnesota Historical Archaeology Series 2. Minnesota Historical Society, St. Paul. 2002 The Dynamics of Power. Southern Illinois University, Carbondale. 1982 Archaeological excavations at the site of a North West and XY Company wintering post (47-Bt-26): a progress report. The Wisconsin Archeologist (new series) 63(3):153-236. 1963 Manuel Lisa and the Opening of the Fur Trade. Norman, University of Oklahoma Press. 1925 Old Fort Colville. Washington Historical Quarterly 16(1):29-40. 2000 Introducción a la Arqueología Histórica. Asociación Amigos del Instituto Nacional de Antropología, Buenos Aires. 1979 Ethnohistory, Analogy, and Historical Archaeology. The Conference on Historic Site Archaeology Papers 1978 13:1-24. 2002 Encyclopedia of Historical Archaeology. Routledge, London and New York. 1980 Kolmakovskiy Redoubt. The Ethnology of a Russian Fort in Alaska. Monumenta Archaeologica 8, Institute of Archaeology, University of California, Los Angeles. 1975 Preliminary Excavation at the Mount Shepherd Pottery Site. The Conference on Historic Sites Archaeology Papers 1974 9:2-12. 1977 The Last of the Square-Rigged Windjammers. The Conference on Historic Site Archaeology Papers 1975 10:55-59. 1978 Search for the Battle of the Brule. The Wisconsin Archeologist (new series) 59(2):246-252. 1979 Fort Jackson: A Non Traditional Frontier Fort. The Conference on Historic Site Archaeology Papers 1978 13:122-32. 2003 Ferry Sites in Independence County. The Arkansas Archeologist 42: 45-78. 1998There by Design: Field Archaeology in Parks and Gardens. BAR British Series 267, Archaeo-press, Oxford, England. 2004 Ban Wang Hai: Excavations of an Iron-Age Cemetery in Northern Thailand. University of Washington Press: Seattle. 1958 Fort Langley in Re-creation. The Beaver 289(#):30-39. 1961 Neglected Spokane House. Pacific Northwesterner 5(3):33-41. Spokane. 1978 Archaeology of a late nineteenth century shoemaker’s shop, Mineral Point, Wisconsin. The Wisconsin Archeologist 59(3):310-342. 1999 L’archéologie historique aux États-Unis. Mini-stère de l’Éducation nationale de la Recherche et de la Technologie, Comité des travaux historiques et scientifiques (CTHS), Format 32, Paris. 1999 Landscape Transformations and the Ar-chaeology of Impact: Social Disruption and State Formation in Southern Africa. Klewer Academic/Plenum Publishers, New York. 1997 The Caddo Nation: Archaeological and Ethnohistorical Perspectives. University of Texas Press, Austin. 1999 Archaeological Investigations of Mexican-American War Battlefields and Related Sites in Texas. Part I: Introduction and Disscussion of Sites on the Palo Alto Battlefield. Journal of the Southern Texas Archaeological Association La Tierra 26(3):18-26. 1999b Archaeological Investigations of Mexican-American War Battlefields and Related Sites in Texas. Part III: Sites Within the City of Brownsville. Journal of the Southern Texas Archaeological Association La Tierra 26(3):31-33. 1999 Archaeological Investigations of Mexican-American War Battlefields and Related Sites in Texas. Part II: The Palo Alto House or Inn (41CF92-9), Also Known as the Taylor Tavern. Journal of the Southern Texas Archaeological Association La Tierra 26(3):27-30. 2000 Freedman?s Cemetery: A Legacy of a Pioneer Black Community in Dallas, Texas (2 vols.). Texas Department of Transportation, Environmental Affairs Division, Archeology Studies Program, Report 21, and Geo-Marine, Inc., Special Publication No. 6. Austin, TX. 1987 Captivating the Public Through the Media While Digging the Past. Technical Series No. 1. Center for Urban Archaeology, Baltimore. 1962 Michilimackinac, Its History and Restoration. Mackinac Island: Mackinac Island State Park Commission. 1963a Some 18th Century Clay Pipes Found at Mackinac. Michigan Archaeologist 9(1):1-11. 1963b Clay Pipes: A Footnote to Mackinac’s History. Mackinac History Leaflet 1. 1964 Gentlemen on the Frontier, a Pictorial Record of the Culture of Michilimackinac. Mackinac Island: Mackinac Island State Park Commission. 1968 France at Mackinac 1715-1760. Mackinac Island State Park Commission. Mackinac Island, Michigan. 1956 Arms and Armour in Colonial America 1526-1783. The Stackpole Company, Harrisburg, Pennsylvania. 1958 American Knives. Charles Scribner’s Sons, New York. 1964 American Indian Tomahawks. Heye Foundation, Museumof the American Indian, New York. 1998 The Union Plaza Downtown El Paso Development Project: Overview, Inventory and Recommendations. Anthropology Research Center, Department of Sociology and Anthropology, The University of Texas at El Paso, ARC Archaeological Technical Report, No. 17. 1975 Smoking In Style at Fort Union Trading Post. Paper presented in the Anthropology Section, Nebraska Academy of Sciences, 18 April 1975. Manuscript on file, Midwest Archeological Center, National Park Service, Lincoln. 1981a Clay Tobacco Pipes From Spokane House and Fort Colvile. Northwest Anthropological Research Notes 15(2):221-235. 1981b Notes on Unusual Clay Tobacco Pipes Found in Seattle. Historical Archaeology 15(1):109-12. 1982a The Clay Pipes. In: Kanaka Village/Vancouver Barracks, 1975. Reports in Highway Archaeology No. 7:113-127. Office of Public Archaeology, Institute of Environmental Studies, University of Washington, Seattle. 1982b Clay Tobacco Pipes and the Fur Trade of the Pacific Northwest and Northern Plains. M.A. Thesis, Department of Sociology and Anthropology, University of Idaho, Moscow. 1983a Clay Tobacco Pipes from Hudson’s Bay Company’s Bellevue Farm, San Juan Island, Washington (45-SJ-295). In: The Archaeology of the Clay Tobacco Pipe VIII. America. British Archaeological Reports, International Series 175:162-183. 1983b The Tobacco-Related Artifact Assemblage from the Martinez Adobe, Pinole, California. In: The Archaeology of the Clay Tobacco Pipe VIII. America. British Archaeological Reports, International Series 175:185-194. 1983c Clay Tobacco Pipes From Five Archaeological Sites in Nebraska. Historic Clay Tobacco Pipe Studies 2:39-47. 1983e Clay Tobacco Pipes From the Town of Lillooet, British Columbia. Historic Clay Tobacco Pipe Studies 2:61-68. 1983f Book Review of “Northhampton Clay Tobacco Pipes and Pipemakers” by W.R.G. Moore. Historic Clay Tobacco Pipe Studies 2:75-76. 1984 Book Review of “The Archaeology of the Clay Tobacco Pipe II, The United States of America.” edited by Peter Davey. Historical Archaeology 18(1):124-125. 1985 Tobacco. In: Archaeological Investigations at the Cabinet Landing Site (10BR413), Bonner County, Idaho. By Landreth Keith, Keo Borenson, and Mary Condon. Eastern Washington University Reports in Archaeology and History Number 100-45, pp 114,116-120, Archaeological and Historical Services, Cheney, Washington. 1986a Tobacco Pipes from the Arrowtown Chinese Settlement, Central Otago, New Zealand. Historic Clay Tobacco Pipe Studies 3:79-88. 1986b Book Review of “Augustin: The European Picture Book of Clay Pipes”., Vols 1 & 2. Historic Clay Tobacco Pipe Studies 3:135-136. 1989 Clay Tobacco Pipes. In: Curation Manual for the Archaeological Collection from 45 SA 11, North Bonneville, Washington. Topel, Katherine Anne (Ed.) Heritage Research Associates Report No. 81:89-91. Heritage Research Associates, Inc., Eugene. 1994 Review of The Problem of History. History Line:15-16. Winter 1994 Issue. USDA Forest Service, Washington, D.C.
1995 The Manganese Mill (3PL342). 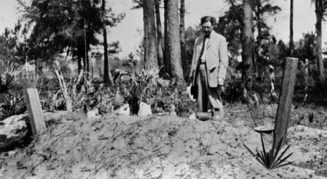 In: Archeological Investigations in the Southern Ouachita Mountains: Excavations at the Shady Lake Recreation Area and Vicinity. AAS Project 856 Final Report pp. 77-83. Arkansas Archeological Survey, Sponsored Research Program, Fayetteville. 1995 Review of “Continuing Cultural Resource Management at Calvert Mine: 1993 Historic Site Testing”, Robertson County, Texas, by Jeff Turpin, Dan K. Utley, and Caroline A. Medlar. Historical Archaeology 29(4):107-108. 1996 Review of “Martin Frobisher’s Northwest Venture, 1576-1581; Mines, Minerals & Metallurgy”. Canadian Museum of Civilization, Mercury Series, Directorate, Paper 7, by D. D. Hogarth, P. W. Boreham, and J. G. Mitchell, 1994. Historical Archaeology 30(2):114-115. 1996 Review of “The Complete Horseshoeing Guide” (second edition), by Robert F. Wiseman. University of Oklahoma Press. Historical Archaeology 30(3):97-98. 1996 Review of “Iolo’s First Book of Crossbows” by David R. Watson. Privately Printed, Austin, Texas. Historical Archaeology 30(3):100-101. 1996 Review of “A History of the Timucua Indians and Missions”. By John H. Hann. University Press of Florida, Gainesville, 1996. Southeastern Archaeology 15(2):263-264. 1998 Clay Tobacco Pipes from 3MN383, Blaylock Creek Site. In: Archeological Investigation at The Epperson Farmstead Site, 3MN383, Historic Component. By Roger E. Coleman. Ouachita National Forest, Hot Springs, Arkansas. pp.59-60. 1998 Clay Tobacco Pipes from the Fontenelle Site. In: Jensen, Richard E., The Fontenelle & Cabanne Trading Posts. The History and Archaeology of Two Missouri River Sites 1822-1838. pp. 143-160. Nebraska State Historical Society, Lincoln. 1999 The Manganese Mill (3PL342). In Excavations in the Shady Lake Recreation Area and Vicinity, 1992-1993, Ouachita National Forest, Hester A. Davis, editor. Arkansas Archaeologist 38:25-29. 1982 Archaeological Tests and Monitoring at Fort Lapwai, July 1982. Laboratory of Anthropology, University of Idaho, Letter Report, No. 82-9. Moscow. 1931 Hudson’s Bay Company. New York, Henry Holt and Company. 1975 Cherokee Structure Change. The Conference on Historic Sites Archaeology Papers 1973, edited by 8:139-54. Institute of Archaeology and Anthropology, University of South Carolina, Columbia, SC. 2003 Dug to Death: a Tale of Archaeological Method and Mayhem. Altamira Press: New York. 1978 Pioneer Settlement and Subsistence on the Ozark Border: Preliminary Report on the Widow Harris Cabin Site Project. The Conference on Historic Site Archaeology Papers 1977 12:145-69. 1985 The Role of Material Culture in the Structure of Fur Trade Society. In Status, Structure and Stratification: Current Archaeological Reconstructions, edited by M. Thompson, M.T. Garcia and F. Kense, pp.399-406. The Archaeological Association of the University of Calgary, Calgary. 1987 Consumption and Ethnicity: An example from the Fur Trade in Western Canada. Journal of Anthropological Archaeology 8:213-249. 1993 A Cultural Resource Inventory and Evaluation of the Las Vegas to Bullfrog Stage Road in the Amargosa Valley, Nye County, Nevada. Nevada Archaeologist 11:41-59. 1971 Early Marbles. Historical Archaeology 5:102-105. 1979 Marbles as Historical Artifacts. Marble Collectors Society of the America, Trumball, CT.
1974 Indians in the Fur Trade: Their Role as Hunters, Trappers and Middlemen in the Lands Southwest of Hudson’s Bay 1660-1870. University of Toronto Press, Toronto. 2003 Florida Place Names of Indian Origin and Seminole Personal Names. University of Alabama Press: Chicago. 1997 Artefacts from Wrecks: Dated Assemblages from the Late Middle Ages to the Industrial Revolution. Oxbow Monograph 84, Oxbow Books, Shropshire, England. 1998 Chiefdoms and Chieftancy in the Americas. University Press of Florida, Gainesville. 2004 African Historical Archaeologies. Kluwer Academic/Plenum Publishers, New York, NY. 1976 Clay Pipes in the Upper Great Lakes: The Ermatinger Assemblage. Northeast Historical Archaeology 5(1-2):1-11. 1977 Mansion in the Wilderness: The Archaeology of The Ermatinger House. Research Report 10. Ontario Ministry of Culture and Recreation, Ottawa. 1980 Northern Ontario Fur Trade Archaeology: Recent Research. Archaeological Research Report 12. Historical Planning and Research Branch, Ontario Ministry of Culture and Recreation, Toronto. 1989 The Historic Cemetary at Silver City, Nevada: Recording Methods and Initial Findings. 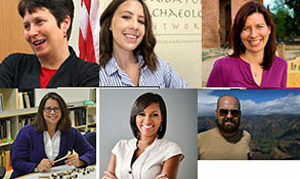 Nevada Archaeologist 7(1):14-28. 1991 Historic Aboriginal Use of Pahute Mesa. Nevada Archaeologist 9:26-36. 1966 Montreal and the Fur Trade. McGill University Press, Montreal. 1967 The Fur Trade and the Northwest to 1857. Toronto, McCelland and Stewart. 1999 The Kachina and the Cross: Indians and Spaniards in the Early Southwest. University of Utah Press, Salt Lake City. 1980 Economic Interaction. pp. 315-36. Waverly Plantation: Ethnoarchaeology of a Tenant Farming Community. edited by William H. Adams, National Technical Information Service. 1980 Dating the Archaeological Sites. pp. 587-93. Waverly Plantation: Ethnoarchaeology of a Tenant Farming Community. edited by William H. Adams, National Technical Information Service. 1985 Commodity flows and national market access. Historical Archaeology 19(2):5-18. 1980 Methods. pp. 39-50. Waverly Plantation: Ethnoarchaeology of a Tenant Farming Community. edited by William H. Adams, National Technical Information Service. 1980 Industrial Sites. pp. 237-62. Waverly Plantation: Ethnoarchaeology of a Tenant Farming Community. edited by William H. Adams, National Technical Information Service. 2003 The Bioarchaeology of Tuberculosis: a Global View on a Reemerging Disease. University Press of Florida: Gainesville. Roberts, Frank H. H., Jr.
1952 River Basin Surveys: The First Five Years of the Inter-Agency Archeological and Paleontological Salvage Program. Annual Report of the Board of Regents of the Smithsonian Institution for 1951 pp. 351-383. Washington. 1879 The Great Fur Land or Sketches of Life in the Hudson’s Bay Territory. G. P. Putnam’s Sons, Ltd., New York. 1993 Ku on the Columbia: Hawaiian Laborers in the Pacific Northwest Fur Industry. Master’s thesis, Oregon State University, Corvallis. 1974 Hudson’s Bay Company Glass Trade Beads: Manufacturing Types Imported to Fort Vancouver (1829-1860). Bead Journal 1(2):15-22. 1975 Luxury in the Wilderness. Clark County History 16:45. 1976 Fort Vancouver, 1829-1860: A Historical Archeological Investigation of the Goods Imported and Manufactured by the Hudson’s Bay Company. Ms., Fort Vancouver National Historic Site, Vancouver, WA. 1977 Transfer Printed Spodeware Imported by the Hudson’s Bay Company: Temporal Markers for the Northwest United States, ca. 1836-1853. Northwest Anthropological Research Notes 11(2):192-217. 1990 Review of: Archaeological Testing in the Southeast Area, Vancouver Barracks Historic District. Historical Archaeology 24(1):118-120. 1990 Trade Beads from Hudson’s Bay Company Fort Vancouver (1829-1860), Vancouver, Washington. Beads 2:29-67. 1998 Fort Vancouver National Historic Site: Evaluation of Historical and Archaeological Evidence for a Fireplace and Chimney Associated with the HBC New Office, ca. 1845-1860. Ms., National Park Service, Seattle, WA. 2001 Historical Archaeology in Iowa: A Retrospective. Journal of the Iowa Archaeological Society 48:15-30. 1999 A Concise Natural History of East and West Florida (reprint of 1775 edition). University of Alabama Press, Tuscaloosa. 1997 The Benjamin House (3CL585). The Arkansas Archeologist 36: 1-33. 2000 Trade Beads from Archaeological Excavations at Fort Union Trading Post National Historic Site. National Park Service, Midwest Archeological Center, Lincoln, NE, and Fort Union Association, Williston, ND. 1976 Fort Vancouver Excavations–XI: Bachelors’ Quarters Privies. Ms., Fort Vancouver National Historic Site, Vancouver, WA. 1975 Fort Vancouver Excavations–X: Southeastern Fort Area. Ms., Fort Vancouver National Historic Site, Vancouver, WA. 2002 Before and After Jamestown: Virginia’s Powhatans and Their Predecessors. University Press of Florida, Gainesville, FL. 2002 International Handbook of Underwater Archaeology. Kluwer Academic Publishers, Plenum Series in Underwater Archaeology, New York. 1979 Sea Level Change as a Variable in Colonial American Archaeology. The Conference on Historic Site Archaeology Papers 1978 13:69-75. 1985 The Springview site: A possible Late-Seventeenth Century Mascouten village. The Wisconsin Archeologist (new series) 66(2):157-175. 1992 The Eighteenth Century Fox Village at West Menasha: debunking an old myth. Fox Valley Archeology 19:10-22. Robert Ritzenthaler Chapter, Wisconsin Archeological Society, Oshkosh, Wisconsin. 1967 Firearms, Traps, and Tools of the Mountain Men. Alfred A. Knoph, New York. 1971 The Application of a Functional Typology in the Analysis of Artifacts from the Excavation of Old Fort Colvile, Spring, 1970. Master’s thesis, University of Idaho, Moscow. 1971 The Application of a Functional Typology in the Analysis of Artifacts from the Excavation of Old Fort Colvile, Spring 1970. University of Idaho Anthropological Research Manuscript Series No. 3. Moscow. 1962 Marbles Words from Hayes, Kansas. Publications of the American Dialect Society 37:1-3. 2002 El Agua y el Poder: Caracas y la Formación del Estado Colonial Caraqueño: 1567-1700. Banco Central de Venezuela. 1995 The O’Keefe Ranch: An Archaeological Perspective. Master’s Thesis. Simon Fraser University, Burnaby, B.C. 1998 A Typology of Seventeenth-Century Dutch Ceramics and its Implications for American Historical Archaeology. BAR International Series 702, John and Erica Hedges, Oxford, England. 2000 The Historical Archaeology of Buenos Aires: A City at the End of the World. Klewer Academic/Plenum Publishers, New York. 2003 Draw the Lightening Down: Benjamin Franklin and Electrical Technology in the Age of Enlightenment. University of California Press: Berkeley. 2002 Behavioral Archaeology. Reprinted edition with new introduction. Percheron Press/Eliot Werner Publications, Clifton Corners, NY. 1999 The Material Life of Human Beings: Artifacts, Behavior, and Communication. Routledge, New York. 1975 Hudson’s Bay Company Fort Umpqua, 1836-1853. Northwest Anthropological Research Notes 9(1):70-86. 2002 Material Culture: The Archaeology of Twentieth Century Conflict. Routledge, London. 1974 Fort William: 1968-1973 Excavations, Pipe Analysis. Ms, Old Fort William, Thunder Bay, Ontario. 1974 Sandy Ground: Archaeological Sampling in a Black Community in Metropolitan New York. Conference on Historic Site Archaeology Papers 1972 7:13-51. 1977a Final Reply to Dollar. The Conference on Historic Site Archaeology Papers 1975 10:124-27. 1977b Parallels in the Rise of the Various Subfields of Historical Archaeology. The Conference on Historic Site Archaeology Papers 1975 10:2-10. 1977c The Spoken Word, the Written Word, Observed Behavior and Preserved Behavior: the Contexts Available to the Archaeologist. The Conference on Historic Site Archaeology Papers 1975 10:99-120. A “Compleat” Curriculum: Historical Archaeology on the Undergraduate Level. In Archaeology and Education: The Classroom and Beyond, edited by K. Smith and F.P. McManamon, pp. 33-40. Archaeological Assistance Study No. 2. Department of the Interior, National Park Service, Cultural Resources, Washington. 1998 They Died with Custer: Soldiers’ Bones from the Battle of the Little Bighorn. University of Oklahoma Press, Norman. 2002 They Died With Custer: Soldier’s Bones from the Battle of the Little Bighorn. University of Oklahoma Press, Norman. Members Frank Wilke and Emory Strong Recently Found a Cache of Trade Goods on the River Below Bingen, Washington. Screenings 3(7). 1964 Lewis and Clark Medal. Screenings 13(10). 1981 Archaeology of the Grignon Hotel Site (47-Wn-162). Historic Preservation Division, State Historical Society of Wisconsin, Madison, Wisconsin. 1989 The Dynamics of Sobaipuri Settlement in the Eastern Pimeria Alta. Journal of the Southwest 31(2):205-222. 1993a In Search of the Sobaipuri Pima: Archaeology of the Plain and Subtle. Archaeology in Tucson, Vol. 7, No.1. Center for Desert Archaeology, Tucson. 1997 Finding History in the Archaeological Record; The Upper Piman Settlement of Guevavi. Kiva 62(3):245-260. 2002 Conquest and Concealment: After the El Paso Phase on Fort Bliss. Conservation Division, Directorate of Environment, Fort Bliss. Lone Mountain Report 525/528. This document can be obtained by contacting belinda.mollard@us.army.mil. On file at the Arizona State Museum, University of Arizona, Tucson and Zimmerman Library, University of New Mexico, Albuquerque. 2003a Sobaipuri-Pima Occupation in the Upper San Pedro Valley: San Pablo de Quiburi. New Mexico Historical Review 78(2):147-166. 2003b Protohistoric and Early Historic Temporal Resolution. Conservation Division, Directorate of Environment, Fort Bliss. Lone Mountain Report 560-003. This document can be obtained by contacting belinda.mollard@us.army.mil. On file at the Arizona State Museum, University of Arizona, Tucson and Zimmerman Library, University of New Mexico, Albuquerque. 2003c The Cerro Rojo Complex: A Unique Indigenous Assemblage in the El Paso Area and Its Implications For The Early Apache. Proceedings of the XII Jornada Mogollon Conference in 2001. Geo-Marine, El Paso. 2004a A Ranchería in the Gran Apachería: Evidence of Intercultural Interaction at the Cerro Rojo Site. Plains Anthropologist 49(190):153-192. 2004b “Before the Spanish Chronicles: Early Apache in the Southern Southwest.” In Ancient and Historic Lifeways in North America’s Rocky Mountains. Proceedings of the 2003 Rocky Mountain Anthropological Conference, Estes Park, Colorado, edited by Robert H. Brunswig and William B. Butler, pp. 120-142, National Park Service, Department of the Interior, Estes Park, Colorado. Also paper presented at the 2003 Athabascan Migrations Conference, 6th Biennial Meeting of the Rocky Mountain Archaeological Conference, Estes Park, Colorado. Available from National Park Service, Denver on CD. 2007a Sexually Based War Crimes or Structured Conflict Strategies: An Archaeological Example from the American Southwest. In Texas and Points West: Papers in Honor of John A. Hedrick and Carol P. Hedrick, edited by Regge N. Wiseman, Thomas C. O’Laughlin, and Cordelia T. Snow, pp. 117-134. Papers of the Archaeological Society of New Mexico No. 33. Archaeological Society of New Mexico, Albuquerque. 2007b A Syndetic Approach to Identification of the Historic Mission Site of San Cayetano Del Tumacácori. International Journal of Historical Archaeology, Vol. 11(3):269-296. 2007c An Archaeological Perspective on the Hohokam-Pima Continuum. Old Pueblo Archaeology Bulletin No. 51 (December 2007):1-7. 2008a Surfing Behind The Wave: A Counterpoint Discussion Relating To “A Ranchería In the Gran Apachería.” Plains Anthropologist, Spring 2008. 2008b Delicate Diplomacy on a Restless Frontier: Seventeenth-Century Sobaípuri Social and Economic Relations in Northwestern New Spain, Part II. New Mexico Historical Review, Volume 83, No. 2. 2008c Evaluating Eyewitness Accounts of Native Peoples along the Coronado Trail from the International Border to Cibola. New Mexico Historical Review. 2008d Father Kino’s ‘Neat Little House and Church’ at Guevavi. Journal of the Southwest. 50(4), (Winter). 2008e Despoblado or Athapaskan Heartland: A Methodological Perspective on Ancestral Apache Landscape Use in the Safford Area. Chapter 5 in Crossroads of the Southwest: Culture, Ethnicity, and Migration in Arizona’s Safford Basin, pp. 121-162, edited by David E. Purcell, Cambridge Scholars Press, New York. 2008f A Pledge of Peace: Evidence of the Cochise-Howard Treaty Campsite. Historical Archaeology 42(4):154-179. With George Robertson. 2008g Apache Plain and Other Plainwares on Apache Sites in the Southern Southwest. In “Serendipity: Papers in Honor of Frances Joan Mathien,” edited by R.N. Wiseman, T.C O’Laughlin, C.T. Snow and C. Travis, pp 163-186. Papers of the Archaeological Society of New Mexico No. 34. Archaeological Society of New Mexico, Albuquerque. 2008h Surfing Behind The Wave: A Counterpoint Discussion Relating To “A Ranchería In the Gran Apachería.” Plains Anthropologist 53(206):241-262. 2008i Delicate Diplomacy on a Restless Frontier: Seventeenth-Century Sobaípuri Social and Economic Relations in Northwestern New Spain, Part II. New Mexico Historical Review Volume 83, No. 2:171–199. 2009a Father Kino’s ‘Neat Little House and Church’ at Guevavi. Journal of the Southwest 51(2):285-316. 2009b Beyond Married, Buried, and Baptized: Exposing Historical Discontinuities in an Engendered Sobaípuri-O’odham Household. Chapter 12 Engendering Households in the Prehistoric Southwest, edited by Barbara Roth. University of Arizona Press, Tucson. 2009c Evaluating Eyewitness Accounts of Native Peoples along the Coronado Trail from the International Border to Cibola. New Mexico Historical Review 84(3):399-435. 2009d Distinctive Places, Suitable Spaces: Conceptualizing Mobile Group Occupational Duration and Landscape Use. International Journal of Historical Archaeology 13(3):255-281. 2009e Nineteenth-Century Apache Wickiups: Historically Documented Models for Archaeological Signatures of the Dwellings of Mobile People. Antiquity 83(319):157-164 [March]. 2009f The Canutillo Complex: Evidence of Protohistoric Mobile Occupants in the Southern Southwest. Kiva 74(4):421-446. 2009g Comments on Genetic Data Relating to Athapaskan Migrations: Implications of the Malhi et al. Study for The Apache and Navajo. American Journal of Physical Anthropology 139(3):281-283. 2009h Manso Tipis and Other Non Sequiturs Relating to the Protohistoric Southwest. Proceedings of the 2007 Jornada Mogollon Conference, El Paso. 2009i The Cerro Rojo Site (LA 37188)–A Large Mountain-Top Ancestral Apache Site in Southern New Mexico. Digital History Project. New Mexico Office of the State Historian. http://www.newmexicohistory.org/ Select: Place, Communities, Click on ‘Cerro Rojo’ on the map (orange square-dot NE of EL Paso, East of Las Cruces and Dona Ana). 2010a Contextual Incongruities, Statistical Outliers, and Anomalies: Targeting Inconspicuous Occupational Events. American Antiquity (January issue). 2010c Mats, Multiple Stories, and Terraces: Earliest Documentary Accounts of Indigenous Sonorans. Chapter in The Latest Word from 1540, edited by Richard Flint and Shirley Flint. 2008 A Pledge of Peace: Evidence of the Cochise-Howard Treaty Campsite. Historical Archaeology. Vol. 42(4). 1983 Archaeological Dig at the Nicoll Homestead. Long Island Forum XLVI (7): 124-129. 1984 Archaeology and History: A Case Study with the William Nicoll Homestead. Long Island Forum XLVII (9): 174-80. 1985 Quantitative Patterning at the Site Level: A Case Study in Historical Archaeology. American Archaeology 5(1):55-65. 1985 Conspicuous Consumption and Class Maintenance: An Example From the Nicoll House Excavations. In The Historical Archaeology of Long Island, Part 1: The Sites, edited by Gaynell Stone and Donna Ottusch-Kianka, pp. 156-69. Suffolk County Archaeological Association and the Nassau County Archaeological Committee. 1986 Mean Ceramic Dating and Its Applicability to the Nicoll House. Long Island Archaeological Project Newsletter, edited by Laurie Schroeder, Stephanie Rippel-Erikson, and Edward Johannemann. Published by the Suffolk County Organization for the Promotion of Education 3(1):13-16. 1989 Power Gardens in Annapolis (with Mark P. Leone, Julie Ernstein, and Elizabeth Kryder-Reid). Archaeology 42(2): 34-39. 1990 The Georgian Order in Annapolis, Maryland (with Mark P. Leone). In New Perspectives on Maryland Historical Archaeology, edited by Richard J. Dent and Barbara J. Little. Maryland Archeology. 26(1&2): 69-84. 1991 Consumerism and the Structuring of Social Relations: An Historical Archaeological Perspective. In Digging Into Popular Culture: Theories And Methodologies in Archeology, Anthropology And Other Fields, edited by Ray Browne and Pat Browne, pp. 31-41. Bowling Green State University Popular Press, Bowling Green, Ohio. 1992 Probate Inventories in Historical Archaeology: A Review and Alternatives. In Text-Aided Archaeology, edited by Barbara J. Little, pp. 205-215. CRC Press, Boca Raton, Florida. 1992 Modern Discipline: Its Historical Context in the Chesapeake. In Meanings and Uses of Material Culture, edited by Barbara J. Little and Paul A. Shackel. Historical Archaeology 26(3):73-84. 1993 Personal Discipline And Material Culture: an Archaeology of Annapolis, Maryland, 1695-1870. The University of Tennessee Press, Knoxville, Tennessee. 1993 An Archaeology of Nineteenth-Century Harpers Ferry: Industrial Life in an Armory Town. Grapevine 3(12):6-7. 1993 Resilient Shrine. Archaeology 46(3):72. 1994 Archaeology of an Industrial Town: Harpers Ferry and the New Order of Manufacturing. CRM 17(1):16-19. 1994 Archaeology of Nineteenth-Century Industrial Life. SOPA Newsletter 18(1):1-3. 1994 Town Planning, and Everyday Material Culture: An Archaeology of Social Relations in Colonial Maryland’s Capital Cities. In Historical Archaeology of the Chesapeake, edited by Paul A. Shackel and Barbara J. Little, pp. 85-96. Smithsonian Institution Press, Washington, D.C.
1994 Memorializing Landscapes and the Civil War in Harpers Ferry. In Look to the Earth: an Archaeology of the Civil War, edited by Clarence Geier and Susan Winter, pp. 256-270. The University of Tennessee Press, Knoxville. 1994 Interdisciplinary Approaches to the Meanings and Uses of Material Goods in Lower Town, Harpers Ferry. Historical Archaeology 28(4):3-15. 1994 Changing Social and Material Routine in 19th-Century Harpers Ferry (with Michael T. Lucas). Historical Archaeology 28(4):27-36. 1995 Terrible Saint: Changing Meanings of the John Brown Fort. Historical Archaeology 29(4):11-25. 1995 Mass Production: Workers and Factory Towns. In Invisible America: Unearthing Our Hidden History, edited by Mark P. Leone and Neil Asher Silberman, pp. 152-153. Henry Holt, New York. 1995 An Archaeology of Harpers Ferry National Historical Park: Past and Present. Journal of Middle Atlantic Archaeology 11:41-56. 1996 Transforming Craft to Wage Labor: Archaeology of a Worker’s Houselot. CRM 19(5):27-30. 1996 An Archaeology of the Garden and the Machine at the Harpers Ferry Armory. Time Traveler: Where the Future Meets the past, World Wide Web, U.C., Santa Barbara. 1996 Culture Change And The New Technology: an Archaeology of The Early American Industrial Era. Plenum Publishing Corp, New York. 1996 Archaeology in Harpers Ferry National Historical Park. West Virginia Archaeologist. 1994 (1&2):1-11. 1997 The John Brown Fort: African-Americans’ Civil War Monument. CRM.20(2):23-26. 1997 A Long-Overdue Salute: African-American Troops Who Fought in the Civil War are being Honored in a National Monument. The Atlanta Journal Constitution. 2 Nov.
1998 Classical and Liberal Republicanism and the New Consumer Culture. International Journal of Historical Archaeology 2(1):1-20. 1998 Maintenance Relationships in Early Colonial Annapolis. In Annapolis Pasts: Contributions from Archaeology in Annapolis, edited by Paul A. Shackel, Paul Mullins and Mark S. Warner, pp. 97-118. The University of Tennessee Press, Knoxville. 1999 Public Memory and the Rebuilding the Nineteenth-Century Industrial Landscape at Harpers Ferry. Quarterly Bulletin: Archeological Society of Virginia 54(3):138-144. 1999 Town Planning and Nineteenth-Century Industrial Life in Harpers Ferry. In The Archaeology of 19th-century Virginia, edited by Theodore R. Reinhart and John H. Sprinkle, Jr., pp. 341-364. Council of Virginia Archaeologists, Special Publication No. 36 of the Archeological Society of Virginia. 2000 Craft to Wage Labor: Agency and Resistance in American Historical Archaeology. In Agency Theory in Archaeology, edited by John Robb and Marcia-Anne Dobres, pp. 232-246. Routledge Press, London. 2000 Comments on A Critical Archeology Revisited by Laurie A. Wilkie And Kevin M. Bartoy. Current Anthropology 41(5):469-470. 2000 Labor and Racism in Early Industrial Society (with David Larsen). In Lines That Divide: a Historical Archaeology of Inequality, edited by James Delle, Robert Paynter, and Stephen Mrozowski, pp. 22-39. University of Tennessee Press, Knoxville. 2001 Introduction: Contested Memories and the Making of the American Landscape. In Myth, Memory and The Making of The American Landscape, edited by Paul A. Shackel. University Press of Florida, Gainesville. 2001 Redefining the Role of the Massachusetts 54th Regiment. In Myth, Memory and The Making of The American Landscape, edited by Paul A. Shackel. University Press of Florida, Gainesville. 2001 Four Years of Hell: Domestic Life in Harpers Ferry during the Civil War. In Archaeological Perspectives on the American Civil War, edited by Clarence R. Geier and Stephen R. Potter, pp. 217-228. University Press of Florida, Gainesville. 2001 Public Memory and the Search for Power in American Historical Archaeology. American Anthropologist 102(3):1-16. 2001 Myth, Memory and The Making of The American Landscape. University Press of Florida, Gainesville. 2001 University of Maryland Creates Center for Heritage Resource Studies. Heritage Matters: News of the Nation’s Diverse Cultural Heritage. November:10. 2002 Harpers Ferry. In Encyclopedia of Historical Archaeology, edited by Charles E. Orser, Jr., pp. 260-61. Routledge Press, London. 2002 Broadening the Interpretations of the Past at Harpers Ferry National Historical Park. In The Public Benefits of Archaeology, edited by Barbara J. Little, pp 157-166. University Press of Florida, Gainesville, Florida. 2002 New Technology. In Encyclopedia of Historical Archaeology, edited by Charles E. Orser, Jr., 387-388. Routledge Press, London. 2003 Memory in Black and White: Race, Commemoration, and the Post-Bellum Landscape. AltaMira Press, Walnut Creek, CA. 1993 Interdisciplinary Investigations of Domestic Life in Government Block B: Perspectives on Harpers Ferry’s Armory and Commercial District, Occasional Report No. 6. Department of the Interior, National Capital Region Archaeology Program. National Park Service. 1994 Domestic Responses to Nineteenth-Century Industry: An Archeology of Park Building 48, Harpers Ferry National Historical Park, Occasional Report No. 12. Department of the Interior, National Capital Region Archaeology Program. National Park Service. 1992 Post-Processual Approaches to Meanings and Uses of Material Culture. In Meanings and Uses of Material Culture, edited by Barbara J. Little and Paul A. Shackel. Historical Archaeology 26(3):5-11. 1994 Archaeological Perspectives: An Overview of Chesapeake Historical Archaeology. In Historical Archaeology of the Chesapeake, edited by Paul A. Shackel and Barbara J. Little, pp. 1-15. Smithsonian Institution Press, Washington, D.C.
1998 Annapolis Pasts: Historical Archaeoloogy in Annapolis, Maryland. University of Tennessee Press, Knoxville. 2002 Social Stratification (with Matthew Palus). In Encyclopedia of Historical Archaeology, edited by Charles E. Orser, Jr., pp. 531-534. Routledge Press, London. 1998 University of Maryland and the National Park Service: A Partnership in Historical Archaeology. CRM 21(3)13-15. 1994 An Archaeology of Harpers Ferry’s Commercial and Residential District. Historical Archaeology 28(4). 1996 Analysis of the Vertebrate Faunal Remains from 3LA185, a Late Eighteenth-Early Nineteenth Century Site of Possible Delaware Indian Affiliation. The Arkansas Archeologist 35: 97-110. 1979 Early British Subsistence Strategy at Michilimackinac: A Case Study in Systemic Particularism. The Conference on Historic Site Archaeology Papers 1978 13:315-56. 1980 Pleasant Camp on Dalton Trail to the Klondike. Mining in Alaska’s past, edited by Michael S. Kennedy, pp. 248-72. Alaska Division of Parks Office of History & Archaeology Publication 27. Anchorage. 1941 Old Glass Marbles. Hobbies 46(9):55-57. 2001 Theoretical perspectives on labor and colonialism: Reconsidering the California missions. Journal of Anthropological Archaeology 20(4):379- 407. 2001 Agency, practical politics, and the archaeology of culture contact. Journal of Social Archaeology 1(2):184-204. 2000 Magnetometer prospecting in historical archaeology: Evaluating survey options at a 19th-century rancho site in California. Historical Archaeology 34(2):89-109. 1999 Bullion and Beefsteak, Miners and Mutton, Headframes and Hogmeat, a Chicken in Every Pot and Fish on Fridays Too! : The Zooarchaeology of Ruby Hill, Eureka County, Nevada. Nevada Archaeologist 17:29-41. 1999 “I, too, Am America”: Archaeological Studies of African-American Life. University Press of Virginia, Charlottesville. 2003 The Political Economy of Craft Production: Crafting Empire in South India, c. 1350-1650. Cambridge University Press: Cambridge. 1969 More About Swirl Marbles. Spinning Wheel 25(7):58-59. 2000 The Archaeology Education Handbook: Sharing the Past with Kids. AltaMira Press, Walnut Creek, CA. 1968 Big Bend Historic Sites. Publications In Salvage Archaeology 9. River Basin Surveys, Smithsonian Institution. Lincoln. 1972 Like-A-Fishhook Village and Fort Berthold, Garrison Reservoir, North Dakota. National Park Service Anthropological Papers 2. Washington. 1980 Fort Manuel: The Archaeology of an Upper Missouri Trading Post, 1812-1813. Ms, Midwest Archeological Center, National Park Service, Lincoln. 1974 Report on Marbles Found during Archaeological Excavations within the Kitchen CP-A and Basement CP-B and C Areas. Report, Bishop’s Mill Historical Institute, Ridley Creek State Park, Media, PA.
1997 Nome Water Control Structures. BLM-Alaska Open File Report 62. U.S. Dept. of the Interior, Bureau of Land Management, Alaska State Office, Anchorage. 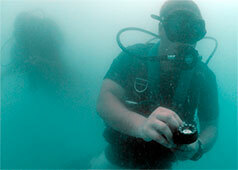 2001 History Beneath the Sea: Nautical Archaeology in the Classroom. Society for American Archaeology, Public Education Committee, Washington, DC. 1977 The Early Historic Period (1540-1670) on the Upper Coosa River Drainage of Alabama and Georgia. The Conference on Historic Site Archaeology Papers 1976 11:151-68. 1982 “Eye” Beads in the Southeast. The Conference on Historic Sites Archaeology Papers 1979 14:116-27. 1998 Bringing Back the Past: Historical Perspectives on Canadian Archaeology. Canadian Museum of Civilization, Archaeological Survey of Canada, Mercury Series, Paper 158, Hull, Quebec. 2000 The Maritime Heritage of the Cayman Islands. University Press of Florida, Gainesville. 1978 Davidsonville Bricks. The Arkansas Archeologist 19: 31-35. 1975 County Seat Towns as Archaeological Sites: Some Arkansas Examples. The Conference on Historic Sites Archaeology Papers 1973 8:33-51. 1980 The Humanly Touched Thing. pp. 263-84. Waverly Plantation: Ethnoarchaeology of a Tenant Farming Community. edited by William H. Adams, National Technical Information Service. 1997 The Moses Collins Site: An Undocumented Trading Post and Tavern in Frontier Eastern Iowa. Paper read at the 62nd Annual Society for American Archaeology Meetings, Nashville, Tennessee. Snow, Susan R. with contributions by Lynn Marie Alex, Suzanne Doershuk, Jeannie Link, Leah Rogers, and Kathleen Siebert. 1996 Phase I and Phase II Investigations of Seven Sites within the Proposed Historic District of Bowens Prairie, US 151 (NHS-151-3(84)–19-57), Segment 4, Jones County, Iowa. Volumes 1-3. Contract Completion Report 477, Office of the State Archaeologist, The University of Iowa, Iowa City, Iowa. 1974b Evolution and Horizon as Revealed in Ceramic Analysis in Historical Archaeology. Conference on Historic Site Archaeology Papers, 1972 6:71-116. 1974f Methodological Phases in the Archaeological Process. The Conference on Historic Sites Archaeology Papers 1972, edited by 6Institute of Archaeology and Anthropology, University of South Carolina, Columbia, SC. 1978a Contemporary Patterns of Material Culture or Hansel and Gretel in the Modern World: Following the Trail of Pull Tabs to “The Pause that Refreshes”. The Conference on Historic Site Archaeology Papers 1977 12:87-106. 1978b Mason Lee, A Case of Idiosyncratic Versus Expected Behavior Patterns. The Conference on Historic Site Archaeology Papers 1977 12:188-200. 1979 The Search for Sixteenth Century Santa Elena. The Conference on Historic Site Archaeology Papers 1978 13:25-37. 1999 Historical Archaeology in Wachovia: Excavating Eighteenth-Century Bethabara and Moravian Pottery. Klewer Academic/Plenum Publishers, New York. 1993 What This Awl Means. Minnesota Historical Society Press, St. Paul. 1987 Champoeg: A Perspective of a Frontier Community in Oregon, 1830-1861. Master’s thesis, Oregon State University, Corvallis. 1988 Champoeg: A Perspective of a Frontier Community in Oregon, 1830-1861. Oregon State University, Anthropology Northwest, No. 3. Corvallis. 1975 HBC Bellevue Farm Artifact Summary, 1973 Season, San Juan Island, Washington. In Miscellaneous San Juan Island Reports, 1971-1973, pp. 175-222. University of Idaho Anthropological Research Manuscript Series, No. 16. Moscow. 1975 Miscellaneous San Juan Island Reports 1971-1973. University of Idaho Anthropological Research Manuscript Series, No. 16. Moscow. 1975 Three Late Wagons from 45SJ295, the Hudson’s Bay Company Bellevue Farm Site, San Juan Island, Washington. In Miscellaneous San Juan Island Reports, 1971-1973, pp. 223-243. University of Idaho Anthropological Research Manuscript Series No. 16. Moscow. 1977 Miscellaneous San Juan Island Reports 1912-1926, 1975. University of Idaho Anthropological Research Manuscript Series No. 38. Moscow. 1967 Post-1800 Historical Indian Sites. Historical Archaeology 1:70. 1971 Review of “Astor Fort Okanogan” by Garland F. Grabert. American Anthropologist 73(4):934-935. 1978 Review of “Kanaka Village/Vancouver Barracks”, 1974 by David H. Chance and Jennifer Chance. Pacific Northwest Quarterly 69(4):189-190. 1981 A Functional Classification for Artifacts from 19th and 20th Century Historic Sites. North American Archaeologist 2(3):251-261. 1983 San Juan Archaeology, 2 Vols. Moscow: University of Idaho. 1993 Archeological Investigations in Skagway, Alaska, Volume 4: Father Turnell’s Trash Pit, Klondike Gold Rush National Historical Park, Alaska. United States Government Printing Office, Denver. 1993 East Base Historic Monument, Stonington Island, Antarctic Peninsula: Part I: A Guide for Management, Part II: A Description of the Cultural Resources and Recommendations. United States Government Printing Office, Denver. 1999 The Great Warpath: British Military Sites from Albany to Crown Point. University Press of New England, Hanover, NH. 2003 Exploring the History of the Arkansas Stoneware Industry. The Arkansas Archeologist 42: 1-13. 2007 A Pebble Mound/Railroad Ballast Harvesting Site Near Hazen, Churchill County, Nevada. Nevada Archaeologist 22: 33-38. 1975 U. S. Customs and the Hudson’s Bay Company, 1849-1853. Northwest Anthropological Research Notes 9(1):87-102. 1977 Euroamerican Artifacts in the Oregon Territory, 1829-60: A Comparative Survey. Northwest Anthropological Research Notes 11(2):174-183. 1979 The Stock of the European Sale Shop at Fort Vancouver, 1829-1860. Northwest Anthropological Research Notes 13(2):215-230. 1996 The 1984-1985 Jail Project: Fort Vancouver National Historic Site–Vancouver, Washington. Ms., National Park Service, Vancouver, WA. Steele, Harvey W., Lester A. Ross, and Charles H. Hibbs, Jr.
1975 Fort Vancouver Excavations–XII: OAS Sale Shop Excavation. Ms., Fort Vancouver National Historic Site, Vancouver, WA. 1979 Homesteaders at Wintersburg: A Study of Land Tenure and Residence Patterns. The Conference on Historic Site Archaeology Papers 1978 13:38-55. 1993 Comments on early construction in Ceresco. Fox Valley Archeology 21:6-24. 1983 Pattern in Pattern Recognition. The Conference on Historic Sites Archaeology Papers 1980 15:57-70. 1988 Test Excavations at the 1843 Fort Nisqually (45PI56), DuPont, Washington: A Preliminary Report. Pacific Lutheran University, Tacoma. 1990 A Data Recovery Study of 45PI401, Hudson’s Bay Dwellings Northwest Landing, Pierce County, Washington. Report to Weyerhaeuser Real Estate Company, Land Management Division, Tacoma from Western Heritage, Olympia. 1991 A Data Recovery Study of 45PI405 Nisqually Village, at Northwest Landing, Pierce County, Washington. Report to Weyerhaeuser Real Estate Company, Land Management Division, Tacoma from Western Heritage, Olympia. 1978 Pottery Manufacture Analysis: An Experimental Means for Assessing Technological Continuity in the Altamont Region. Master’s thesis, Oregon State University, Corvallis. 1977 Artifacts Are Not Enough. The Conference on Historic Site Archaeology Papers 1976 11:43-63. 1967 Archaeology at Fort Michilmackinac. Mackinac History Leaflet 9. Mackinac Island State Park Commission, Mackinac Island, Michigan. 1972 Comments on Stanley South’s “Evolution and Horizon as Revealed in Ceramic Analysis in Historical Archaeology”. Conference on Historic Site Archaeology Papers 1971 6:179-84. 1974 Fort Michilimackinac, 1715-1781. Anthropological Series 2. East Lansing. 1989 A Tabulation and Analysis of Stolen Antiquities from the Historic Ottawa Cabin at the Fry Site. Ohio Archaeologist, 39(1):26-37. Columbus, Ohio. 2002 The Dunlap Farmstead: A Market-dependent Farm in the Early History of the Maumee Valley of Ohio, Archaeology of Eastern North America, vol. 30: 155-188. 1999 Reconsidering the Myth of the Subsistence Farmer: Measuring Rural “Self-Sufficiency” in the Northern United States during the Nineteenth Century Using Data from the Dunlap Farmstead (1831-1839), Wood County, Ohio, Paper presented at the 66th Annual Meeting of the Eastern States Archaeological Federation, November 17-21, 1999, Kings Island Resort, Kings Island, Ohio. 1998 The Dunlap Farmstead: Historical Archaeology at 33Wo41, The 19th Century Homestead of Revolutionary War Soldier Robert Dunlap and Family, Middleton Township, Wood County, Ohio. 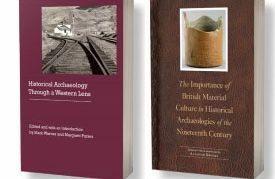 Laboratory of Archaeology Publications, Occasional Monographs No. 1, The University of Toledo, Toledo, Ohio. 1973 Excavations of Fort Colvile 1971. University of Idaho Anthropological Research Manuscript Series No. 10. Moscow. 1965 Columbia River Trade Beads. Appendix to “Indian Trade Goods” by Arthur Woodward, pp. 33-36. Oregon Archaeological Society Publication No. 2. Portland. 1977 Eighteenth Century French Contact Sites in North-Central Oklahoma. The Conference on Historic Site Archaeology Papers 1975 10:50-54. 1983 Clay Pipes in an 1875 Wm. DeMuth & Co. Catalogue. Historical Clay Tobacco Pipe Studies 2:72-73. 1965 The Fur Trade on the Upper Missouri 1840-1865. Norman, University of Oklahoma Press. 2004 Native Title in Australia: an Ethnographic Perspective. Cambridge University Press: Cambridge. 1978 Preliminary List of British Suppliers of Goods to the Hudson’s Bay Company. Research Bulletin 94 Historic Sites and Research Branch, Parks Canada, Ottawa. 1997 Mocha, Banded, Cat’s Eye, and Other Factory-Made Slipware. Council for Northeast Historical Archaeology, Studies in Northeast Historical Archaeology, No. 1, Boston. 1979 Spode/Copeland Transfer-Printed Patterns Found at 20 Hudson’s Bay Company Sites. Canadian Historic Sites Occasional Papers in Archaeology and History No. 22. Ottawa. 1999—The Familiar Past? Archeologies of Later Historical Britain. Routledge, New York, NY. 1980 Kanaka Village/Vancouver Barracks, 1980 Test Excavations. Report to Washington State Department of Transportation, District 4, Vancouver, WA. 1984 Report of Investigations of Excavations at Kanaka Village/Vancouver Barracks, Washington, 1980/1981. Report to Washington State Department of Transportation, Olympia from Archaeological and Historical Services, Eastern Washington University, Cheney, WA. 2002 Round Ball to Rimfire: A History of Civil War Small Arms Ammunition, Part Two: Federal Breechloading Carbines and Rifles. Thomas Publications, Gettysburg, PA.
2007 Pinyon-Juniper Woodland Resource Depletion at the Ward Historic Mining District, 1872-1888. Nevada Archaeologist 22: 23-32. 1968 Fort Union Trading Post, Historic Structures Report, Part II, Historical Data Section. Ms, Midwest Archeological Center, National park Service, Lincoln. 1972 San Juan Island Historic Resource Study. Denver Service Center, National Park Service, Denver. 1974a Comments on James Howard’s Anthropology, and so on. Conference on Historic Site Archaeology Papers 1972 7:215-23. 1974b Problems in General Anthropology and Plains Ethnohistory: Thurman’s Final Reply. Conference on Historic Site Archaeology Papers 1972 7:229. 1974c Reply to Howard’s Rejoinder. Conference on Historic Site Archaeology Papers 1972 7:226-27. 1974d The Resurgence of Antiquarianism in Ethnohistory and Archaeology: Clyde Dollar’s “Letter from Mexico”. Conference on Historic Site Archaeology Papers 1972 7:203-10. 1977a Filmed Plains Ethnohistory Revisited: The Devaluation (Proper Evaluation) of Dollar. Conference on Historic Site Archaeology Papers 1975 10:183-223. 1977b The Phoenix. 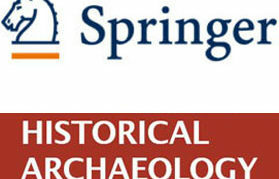 Conference on Historic Site Archaeology Papers 1975 10:230-31. 1983 Recollections of Jim Howard: A Scholarly “Antagonist”. The Conference on Historic Sites Archaeology Papers 1980 15:190-92. 1894 Early lead-mining in Illinois and Wisconsin. Annual Report of the American Historical Association for the Year 1893, pp. 189-196. 1998Preservation: Of What, For Whom? A Critical Look at Historical Significance. National Council for Preservation Education, Ithaca, NY. 1981 A Stylistic Analysis of a Protohistoric Ceramic Assemblage from Indian Hills (33Wo4), Rossford, Ohio . M.A. Thesis, Department of Sociology & Anthropology, The University of Toledo, Toledo, Ohio. 1977 Ideo-Cultural Variation and Change in the Massachusetts Bay Colony. The Conference on Historic Site Archaeology Papers 1976 11:169-235. 1996 Archaeology from Thin Air. Nevada Archaeologist 14:79-87. 1999 Pigeon Scratchings: Historic Native American Rock Art on the Sylvania Mountains, Nevada. In Rock Art Papers 14, edited by Ken Hedges, pp. 21-28. San Diego Museum Papers 36. 2005 A Standard Mining Story. Nevada Archaeologist 20 and 21:1-12. 2007 Nehi in Debris: Historic Artifact Collection from 26CK1278. In Passing Through: The History of Clark County Wetlands Park, Henderson, Nevada by Elizabeth von Till Warren and Suzanne Eskenazi, pp. 68-117, HRA Papers in Archaeology 6. Las Vegas, NV. 2008 Digging a Little Deeper at Alunite. Nevada Archaeologist 23: 23-36. 2008 What’s Up at the Blue Goose? In Proceedings of the 2007 Three Corners Conference, edited by Mark C. Slaughter, Steven Daron, Eva Jensen, and Kathleen Sprowl, pp. 269-285. Nevada Archaeological Association, Las Vegas, Nevada. 2010 Amity Road Fire Rehabilitation, Ada County, Idaho. Idaho Power Company Cultural Resources Project Report 09-10. Idaho Power Company, Boise, Idaho. 2010 Cultural Resources Survey of the Turner Ranch Management Unit of the C.J. Strike Wildlife Management Area. Idaho Power Company Cultural Resources Project Report 09-11. Idaho Power Company, Boise, Idaho. 2012 Archaeological and Historical Investigations at the Shepard Homestead (10PE78), Langley Gulch, Payette County, Idaho. Idaho Power Company Cultural Resources Project Report 10-24. Idaho Power Company, Boise, Idaho. 2010 Landore Revisited: Reassessment of the Archaeological Values of the Historic Landore Townsite (10AM111). Idaho Power Company Cultural Resources Project Report 10-16. Idaho Power Company, Boise, Idaho. 1999 Building the Los Angeles Aqueduct: Archaeological Data Recovery at the Alabama Gates Construction Camp. Report submitted to Environmental Analysis Branch, District 6, California Department of Transportation, Fresno. 1980 Many Tender Ties: Women in Fur Trade Society, 1670-1870. Watson and Dwyer, Winnipeg. 1998 The Forgotten Soldiers: Historical and Archaoelogical Investigations of the Apache Scouts at Fort Huachuca, Arizona. Statistical Research, Inc., Tucson. Technical Series 71. 2003 Essential Tensions in Archaeological Method and Theory. University of Utah Press: Salt Lake City. 2003 Grave Intentions: a Comprehensive Guide to Cemetery Preservation in Georgia. Historic Preservation Division of the Georgia Department of Natural Resources and the Historic Chattahoochee Commission: Atlanta, Georgia. 2002 Seeking the Center Place: Archaeology and Ancient Communities in the Mesa Verde Region. University of Utah Press, Salt Lake. 2002 Digging New Jersey’s Past: Historical Archaeology in the Garden State. Rutgers University, Piscataway, NJ. 1984 Magnetometry for Archaeological Exploration of Historical Sites. Historical Archaeology 18(2):38-53. 2000 The Sea of Galilee Boat: A 2000 Year Old Discovery from the Sea of Legends. Perseus Publishing, Cambridge, MA. 1990 Analysis of clay tobacco pipes. The Wisconsin Archeologist (new series) 71(1-2):75-82. 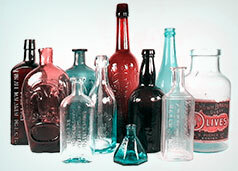 1990 Analysis of flat glass. The Wisconsin Archeologist (new series) 71(1-2):88-91. 1991 Report on the DuBay Collection at the Milwaukee Public Museum, 47-PT-122. Archaeological Rescue Inc., PO Box 618 Milwaukee WI 53201. 1990 Analysis of tableware ceramics. The Wisconsin Archeologist (new series) 92-105. 1998 Some Think It Impossible to Civilize Them at All: Cultural Change and Continuity Among the Early Nineteenth-Century Potawatomi. In Studies in Culture Contact: Interaction, Culture Change, and Archaeology, edited by James G. Cusick, pp. 430-456. Center for Archaeological Investigations, Occasional Paper No. 25. Southern Illinois University, Carbondale. 1998 Archaeology at the Fort Laramie Quartermaster Dump Area, 1995-1996. U.S. Dept of the Interior, National Park Service, Intermountain Region, Denver. Cultural Resources Selections 13. 1968 Comments on Clyde Dollar’s “Some Thoughts on Theory and Method in Historical Archaeology”. The Conference on Historic Site Archaeology Papers 1967 2(2):105-23. 1970 The Crisis of Identity: History and Anthropology. The Conference on Historic Site Archaeology Papers 1968 3:62-69. 1971 Note on the Bethabara, North Carolina, Tobacco Pipes. The Conference on Historic Site Archaeology Papers 1969 4:26-36. 1972 Comments on Stanley South’s “Evolution and Horizon as Revealed in Ceramic Analysis in Historical Archaeology”. Conference on Historic Site Archaeology Papers 1971 6:127-57. 1974 Binford, Science, and History: The Probabilistic Variablility of Explicated Epistemology and Nomothetic Paradigms in Historical Archaeology. Conference on Historic Site Archaeology Papers 1972 7:159-201. 1975 The American Stub-Stemmed Clay Tobacco-Pipe: A Survey of its Origins, Manufacture, and Distribution. The Conference on Historic Sites Archaeology Papers 1974, edited by 9:97-128. Institute of Archaeology and Anthropology, University of South Carolina, Columbia, SC. 2000 Labor History at the Ground Level: Colorado Coalfield War Archaeology Project. Labor’s Heritage 11(1):58-75. 1934 Documents Relating to the North West Company. The Champlain Society, Totonto. 1982 A Critical Analysis and Test of Stanley South’s Artifact Patterns. The Conference on Historic Sites Archaeology Papers 1979 14:137-90. 1965 Washington State’s Lewis and Clark Medal. The Record (1965), pp. 41-46. Pullman. 1997 Historical Documentation and Archaeological Investigation of Codrington Castle, Barbuda, West Indies. Annals of Carnegie Museum 66:229-288, Pittsburgh. 1979 Magnetic Analysis: A Useful Tool for Developmental Planning and Investigation on Historic Sites. The Conference on Historic Site Archaeology Papers 1978 13:148-57. 1971 Trade Bells of the Southern Plateau: Their Use and Occurrence through Time. Master’s thesis, Washington State University, Pullman. 1980 Trade Bells of the Southern Plateau: Their Use and Occurrence through Time. Northwest Anthropological Research Notes 14(1):20-84. 1977 A Preliminary Study of Archaeological Relationships at the Mission of the Sacred Heart of Jesus to the Coeur d’Alene Indians. Master’s thesis, University of Idaho, Moscow. 1977 The Jesuit Reduction System Concept: Its Implications for Northwest Archaeology. Northwest Anthropological Research Notes 11(2):163-173. 1994 Greenbergs Guide to Marbles. Greenberg Books, Kalmback Publishing Company, Waukesha, WI. 2001 Uncovering a Chinese Legacy: Historical Archaeology at Centerville, Idaho. University of Idaho for the U.S. Department of the Interior, Bureau of Land Management, Idaho Cultural Resources Series, no. 5, Boise, ID. 1999 Unconquered People: Florida’s Seminole and Miccosukee Indians. University Press of Florida, Gainsville. Werz, Bruno E. J. S.
1999Diving up the Human Past: Perspectives on Maritime Archaeology, with Specific Reference to Developments in South Africa until 1996. BAR International Series 749, John and Erica Hedges, Oxford, England. 1975 Voices from the Rapids. Publications of the Minnesota Historical Society, Minnesota Historical Archaeology Series No. 3. Minneapolis. 1998 The Functions of Four Colonial Yards of the Southeast Rowhouse, Fort Michilimackinac, Michigan. Mackinac State Historic Parks, Mackinaw City, MI. Archaeological Completion Report Series, No. 16. 1975 Historic Contact Sites as Laboratories for the Study of Culture Change. The Conference on Historic Sites Archaeology Papers 1974 9:153-63. 1977 Ethnoarchaeology, Ethnohistory, Ethnographic Analogy, and the Direct Historical Approach: Four Methodological Entities Commonly Misconstrued. The Conference on Historic Site Archaeology Papers 1976 11:98-110. 1983 Early Nineteenth Century Blast Furnace Charcoals: Analysis and Economics. The Conference on Historic Sites Archaeology Papers 1980 15:106-122. 1999Grit-Tempered: Early Women Archaeologists in the Southeastern United States. University Press of Florida, Gainesville. 2002 The Archaeology and History of the Native Georgia Tribes. University of Florida Press, Gainesville. 1999 The Tree That Bends: Discourse, Power, and the Survival of the Maskókî People. University of Alabama Press, Tuscaloosa. 2000 Ethnographic Eyes. A special double issue of BC Studies: The British Columbia Quarterly (Spring/Summer 2000), No. 125/ 125, Vancouver. 2000 Creating Freedom: Material Culture and African American Identity at Oakley Plantation, 1840-1950. Louisiana State University Press, Baton Rouge. 2003 Archaeological Landscapes of the Near East: a Fundamental Contribution to the Field. University of Arizona Press: Tucson. 1998The Archaeology of the Landscape Park: Garden Design in Norfolk, England, c. 1680- 1840. BAR British Series 268, Archaeopress, Oxford, England. 1966 An Introduction to American Archaeology, Vol. 1, North and Middle America. Engelwood Cliffs: Prentice-Hall. 1996 Comparative Analysis of Bead Assemblage from the Fur Trade Posts Fort Colvile and Fort Vancouver. Master’s thesis, University of Idaho, Moscow. 1957 Report on Trade Goods. Appendix 2 to Excavations in the McNary Reservoir Basin near Umatilla, Oregon, by Douglas Osborne, pp. 225-226. Bureau of American Ethnology Bulletin 166; River Basin Surveys Papers No. 8. Washington. 1959 Analysis of Trade Goods. Appendix to A Comparative Cultural Analysis of an Indian Burial Site in Southeast Washington, by Roderick Sprague, pp. 98-105. Master’s thesis, Washington State University, Pullman. 1965 Indian Trade Goods. Oregon Archaeological Society Publication No. 2. Portland. Reprinted from Screenings 8(3) to 9(3). 1997 The Indigenous People of the Caribbean. University of Florida Press, Gainesville. 1990 Analysis of ordanance. The Wisconsin Archeologist (new series) 71(1-2):83-87. 1907 The Mascoutin Village. Proceedings of the State Historical Society of Wisconsin, 1906, pp. 167-172. State Historical Society of Wisconsin, Madison, Wisconsin. 1997 Gunflint Production in the Monti Lessini, Italy. Historical Archaeology 31:15-27. 1980 Fur Trade Symbols: A Glimpse form the Gladstone Graves. Association of Oregon Archaeologists Occasional Papers 1:99-124. 1975 Archaeological Excavations at the North West Company’s Depot, Grand Portage, Minnesota, in 1970-1971. Ms. on file, National Park Service, Midwest Archeological Center, Lincoln, Nebraska. 1982 Grand Portage National Monument: An Historical Overview and Inventory of Its Cultural Resources. 2 vols. Ms. on file, National Park Service, Midwest Archeological Center, Lincoln, Nebraska. 1993 An Historical Study of the Grand Portage, Grand Portage National Monument, Minnesota. Ms. on file, National Park Service, Lincoln, Nebraska. 1998 The Timuccuan Chiefdoms of Spanish Florida: Volume I: Assimilation. University of Florida Press, Gainesville. 1998 The Timuccuan Chiefdoms of Spanish Florida: Volume II: Resistence and Destruction. University of Florida Press, Gainesville. 2005 Ethnohistoric Adaptations in the Carson Desert. Nevada Archaeologist 20 and 21:49-55. 2002 Thinking from Things: Essays in the Philosophy of Archaeology. University of California Press, Berkeley. 1993 Historical archaeological investigations at the Astor site: new insights into Green Bay history, 1800-1860. The Magazine of the Midwest Open-Air Coordinating Council 14(3-4)::21-25. 2000 Archaeology of Southern Urban Landscapes. University of Alabama Press, Tuscaloosa. 2004 Archaeologist’s Toolkit. Altamira Press: New York. 7 volumes. 2003 Ethical Issues in Archaeology. Altamira Press, New York.